Bringing the keyboard personal digital assistant into the 21st century. Type and create on the move! Dual USB-C connectors to connect to keyboards, external screens, mice, charging cables as needed and many more. Since the introduction of touchscreen mobile phones and tablets, we felt that it is very difficult to type on these types of devices. On-screen keyboards often take up more than half the readable screen. We want to get back to typing on a fully tactile keyboard whilst being able to view the entire screen. All this on a device no larger than most modern mobile phones. 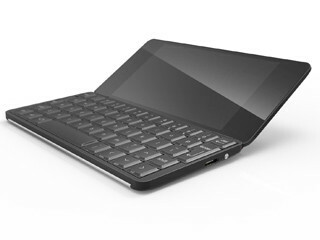 Gemini is a modern clam-shell based mobile device with a fully integrated palm-sized keyboard. To ensure Gemini has the lineage and continuity of the clamshell PDA designs, and to have the best mobile keyboard design on the market, we partnered up with Martin Riddiford and his London-based product design consultancy, Therefore, who were instrumental in the design of the Psion PDAs of the 1990s. In terms of software we partnered up with Private Planet, a leading supplier of applications and personal cloud solutions for mobile operators such as T-Mobile and Etisalat. The Planet Computers team each has over 20 years experience of software and hardware delivery. The result of our work with Therefore is a beautiful piece of design, befitting the device we want to create. The hardware is based on a leading reference design based on a 10-core state-of-the-art mobile processor. We plan to have two versions of Gemini: one model with WiFi only; and the other fully equipped with WiFi and 4G mobile communications. We are proud of what we have created to date but need your help to push it over the line. By supporting us, you will be part of re-inventing the PDA product category, which we feel is so lacking in the market at present. We would love you to join us on our journey to bring the product to life. We aim to raise $200,000 through our crowd funding campaign. We have a fully functioning physical model of the device and have identified the mobile hardware platform that is based on the Mediatek Helio X27 processor and the Mali GPU. Funds raised will go directly to funding the final design phases, manufacturing of the units ordered through the crowd fund, and development of the full software stack. As early backers, we were keen to reward you with some unique perks. All Gemini units claimed as perks will have at least $200 off the planned retail price. First deliveries now start in January 2018 – only to Gemini backers. 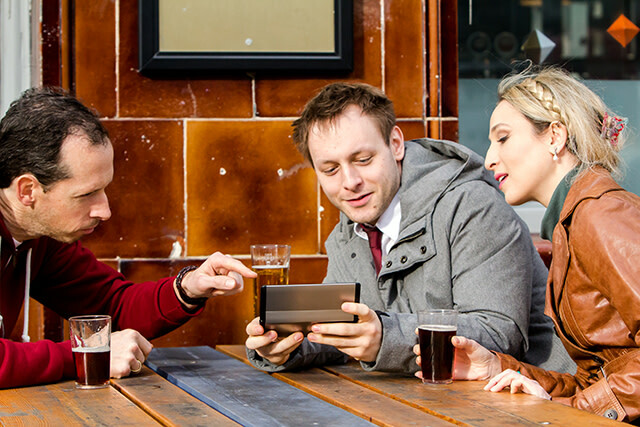 We want to change the way you work and play, liberating you from the need to take laptops with you, whilst still giving you an environment in which you can create on a tactile keyboard. Its computing for the creators, rather than consumers. 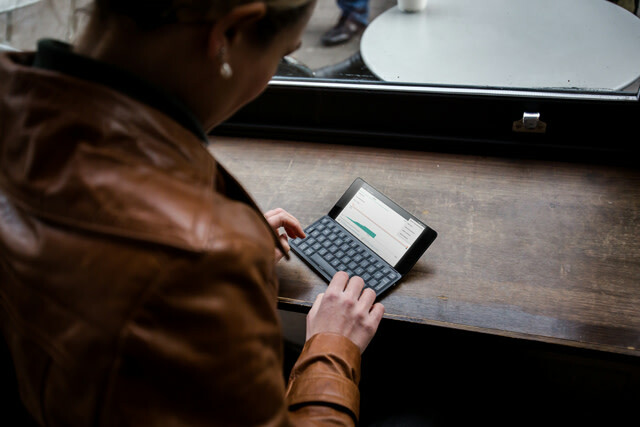 Whether you owned a PDA in the 90’s or require a real keyboard integrated into your mobile device for extensive typing, Gemini is the device for you. The team behind this campaign and Planet Computers has been involved in successfully delivering 5 funded crowdfunding campaigns. We have expertise in bringing both consumer electronics, hardware and software to market. At present, we have a fully functioning physical model of the device. We have identified a number of suppliers of off-the-shelf components including the ultra-wide displays and the PCBs. By working with these providers, we plan to significantly de-risk the process of bringing Gemini to market allowing us to focus on the plastic parts and metalworks (including hinge) of the Gemini body and the software stack of the device. 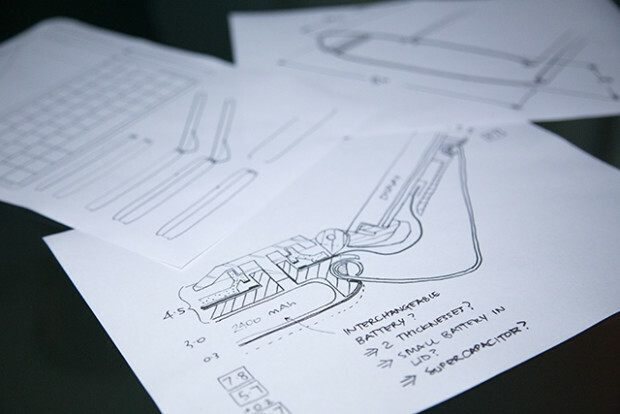 We plan to manufacture the keyboard component ourselves. We are currently identifying manufacturing and assembly partners hoping to be able to assemble Gemini in the UK. If however, this were to prove un-economical in light of the pricing we have set for our product in this crowd-fund, we might have to manufacture the device elsewhere. Our team has experience of delivering both software and hardware. Our aim is to have the product available for shipping to the first backers of our campaign in January 2018. We know this is an ambitious target but one which we truly believe is achievable. As such we will be providing our backers with regular updates on Gemini’s progress. We would love you to join the Gemini movement. We have set out a wide variety of ways for you, as backer, to help us. Any support, however great or small, is kindly received. As any startup, we will have our hands full trying to get this product to market, and we are super excited about it. Helping spread the word on social media or telling colleagues or friends about our campaign would be like having fairy dust sprinkled on us! If you have any suggestions of ways you think you can help, please don’t hesitate to reach out to us by email (hello@planetcom.co.uk) or social media. We would love to hear from you. What keyboard layouts does the keyboard support? The keyboard layouts that we plan to support as part of the crowd fund are: English (UK/US), French, German, Spanish, Italian, Swedish, Norwegian, Danish, Finnish, Russian, Arabic, Japanese, Chinese and Dvorak. For any other languages, please contact us. What Linux distribution will Gemini run? We are currently talking to a few companies representing different Linux flavours and we are considering a number of options but the decision has not been taken yet. We are also taking into accounts comments from the backers into consideration, including Sailfish & Ubuntu OS, which have been suggested several times. The Gemini PDA keyboard mobile device with WiFi and 4G connectivity. $200 off the final retail price exclusively for our Indiegogo backers. You will get your unit from our first production run. No units will be available for general release until you receive your Gemini. Show off your support with this stylish Planet Computers’ T-shirt designed by Martin Riddiford. Please choose your T-shirt size when ordering. Your name will also be included on the Planet Computers’ Gemini Backers page. A 5 megapixel external Gemini camera module plus a new front metal cover with camera aperture for your Gemini. The camera module is easy to fit to your existing Gemini device. Note: This perk is for existing Gemini WiFi and Gemini 4G+WiFi backers only. This external camera feature was a request by many backers. 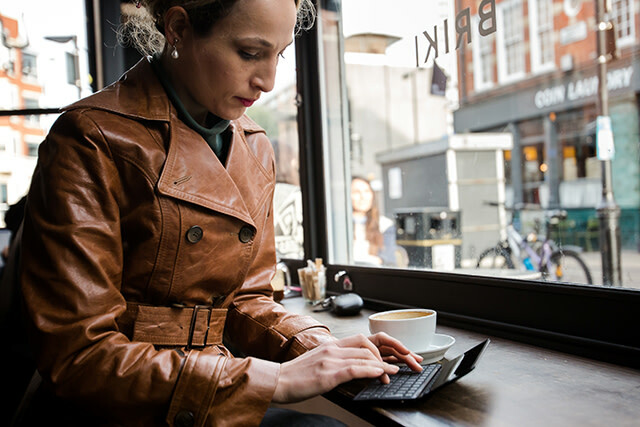 We have designed a super-luxurious, real leather, protective pouch for your Gemini PDA. Seamlessly slide Gemini in and out of the pouch, yet protect it when not in use. The perfect connectivity companion pack for your Gemini, allowing you to connect your Gemini to screens, keyboards, SD cards, and other USB peripherals, plus a mains charger and video cable. This perk allows existing Gemini WiFi only backers to upgrade to the Gemini 4G+WiFi perk. The perk price is the difference between the Gemini WiFi only and Gemini 4G+WiFi perk prices. No additional shipping charge. Note: This perk is for existing Indiegogo Gemini WiFi only backers. Note: This perk is for existing backers of Gemini 4G only. By backing this perk, your Gemini 4G perk will be upgraded to include the Gemini Connectivity Kit and the Gemini Leather Sleeve. By adding this perk to your existing Gemini 4G backing, you will have the Gemini ‚All-In’ bundle. The Gemini PDA with WiFi connectivity only. $200 off the final retail price exclusively for our Indiegogo backers. You will get your unit from our first production run. No units will be available for general release until you receive your Gemini. The complete Gemini PDA (WiFi + 4G) package. The Rose-Gold/Gold-plated version of the Gemini PDA (WiFi + 4G), where the outer casing is gold plated. Limited Edition. Only 30 will be made. Five out of Five! Get a bundle of 5 Gemini PDAs (Wifi and 4G). Perfect for small business users.